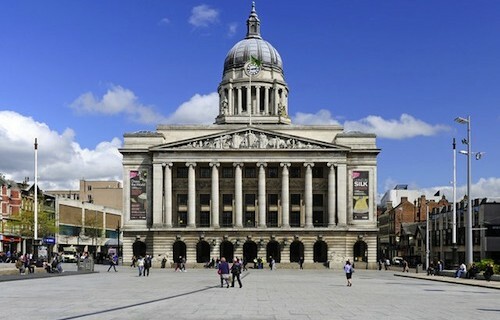 In the heart of England’s Midlands, Nottingham is a compact city perfect for a weekend break – there’s a lot to see and do for any age, not to mention its history as the home of the legendary Robin Hood! You won’t struggle to find a Nottingham hotel in the city centre, which can be reached by excellent transport links. In Nottingham itself you can hop on a bus or tram across the city, or you can walk across the centre in less than 20 minutes. Further afield, East Midlands trains run regularly between major cities and East Midlands Airport connects to worldwide destinations. The Robin Hood trail takes visitors through the medieval streets of the city to follow in the footsteps of England’s infamous loveable outlaw, while Sherwood Forest, home of the folklore fiend, covers 450 acres of native woodland. Major Oak is the largest and most famous ancient tree which has been linked to the tale of Robin Hood. The next Robin Hood Festival takes place in the forest between 5th and 11th August 2013. Rich in history, Nottingham Castle was the origin of the English Civil War and once rivalled Windsor Castle and the Tower of London. Today it lays claim to remarkable views across the city, Victorian-inspired gardens, a museum and an art gallery. Beneath the Castle lies a network of tunnels and caves which reveal the story of this historic site. Discover secret passageways, Mortimer’s Hole and King David’s fabled dungeon. Meanwhile, at the Galleries of Justice Museum you can explore Nottingham’s past of crime and punishment in an interactive journey of the Lace Market. Sinister tales are brought to life in the building where historic villains were judged before being imprisoned and executed. The museum also hosts murder mystery nights and ghost tours. If you fancy something a little less grim, the Splendour music festival in Wollaton Park returns this year with a line-up including KT Tunstall, Maxïmo Park and Jake Bugg. Now in its sixth year, the festival takes place on 20th July 2013. While you’re in the grounds, be sure to check out Wollaton Hall which was used as Wayne Manor in the recent Batman film The Dark Knight Rises. Families should visit Green’s Windmill in Sneinton, which is a museum and science centre as well as a working 19th Century mill. Just 1.5 miles east of the city centre, the science centre boasts fun and educational hands-on activities, while at the windmill you can see the inner workings of a flour mill: discover how grain is turned into flour with wind power and even buy the products from the mill shop. Shopping lovers will love Nottingham’s diverse range of retailers including designer brands, high street shops and independent stores. Be sure to visit the Victoria and Broadmarsh shopping centres as well as Market Square, which was transformed in 2008. The Theatre Royal hosts opera, ballet and prestigious theatrical productions while the Chapel Bar area is home to some great bars and restaurants. Rock City is a must-stop for rock loving clubbers, gig lovers and students.